Prestwick is an absolute joy! Prestwick Golf Club is situated on the Ayrshire coast. "A stretch of land unequalled anywhere in the world for prime golfing terrain." Irvine all within just 5 minutes drive. If golf history interests you - Prestwick Golf Club will blow your mind! The first ever Open Championship was held here - won by Willie Park. 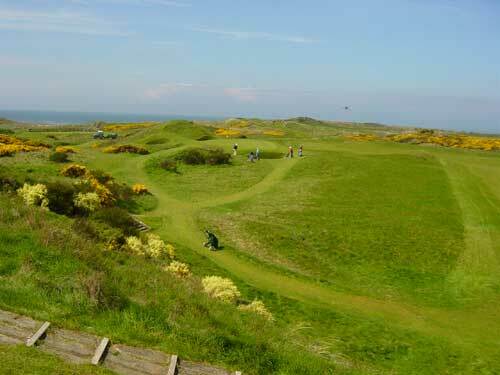 Young Tom Morris won his third Open here - in 1870. He started with a three at the 578 yard first hole- in those days a par 6! 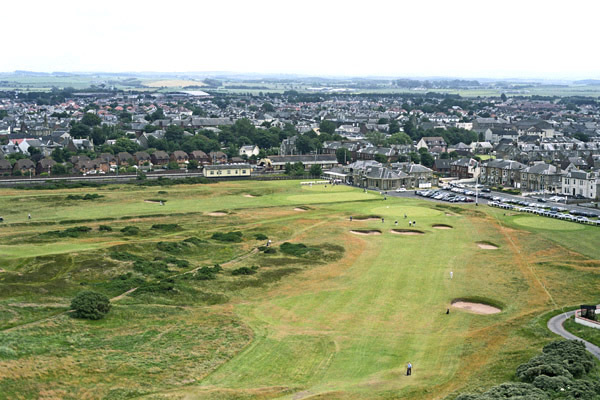 This entire region lives and breathes golf - and Prestwick is at the heart of it all! Most of the world's golfers have never heard of Machrihanish - but that is their loss! This golf course is easily good enough to host a major championship - but it is unlikely ever to happen. championship brings. But for individual golfers and small groups/societies this is a must visit. 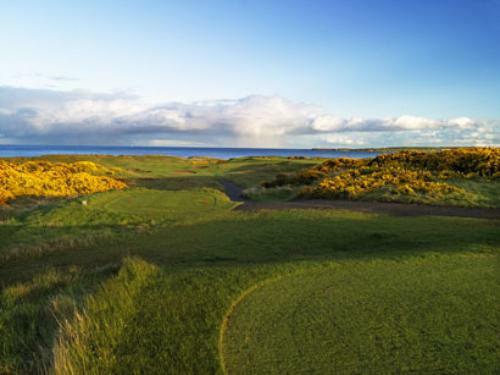 Royal Troon, on Scotland's glorious Ayrshire coast, is a fabulous test of golf. Don't expect to come here and take the course apart - this is a tough one! But if the weather is kind, you will have a great time here - I promise! Royal Troon is a regular host of The Open Championship. And the surrounding area has dozens of world-class courses to choose from. An excellent part of Scotland for a golfing holiday. Royal Aberdeen, on Scotland's east coast, is golfing masterpiece. Not as famous as some Scottish courses - but as good as any of them! yourself to a round or two at the Royal Aberdeen. Stunning scenery, and a REALLY good test of your golfing skill.